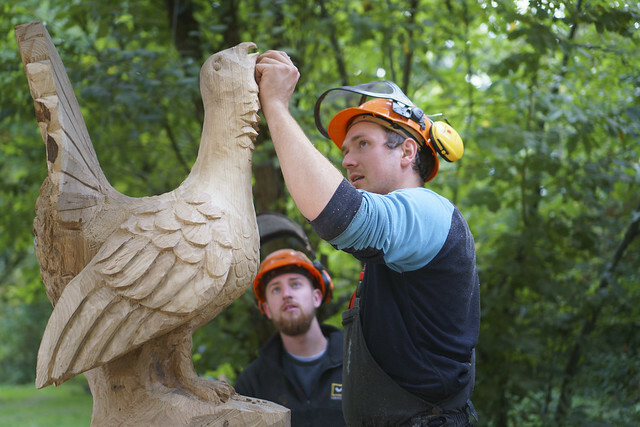 In summer 2017, the Bavarian Office for Forest Seeding and Planting (ASP) and LIFEGENMON organized a wood carving symposium at Lake Abtsdorf. 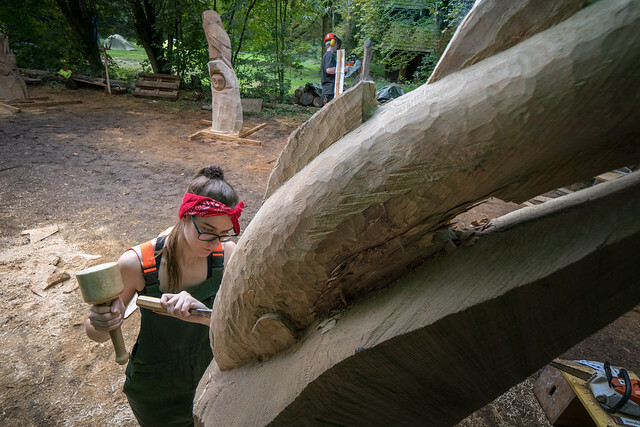 According to the motto “Native animals in climate change – winners and losers”, ten third-year woodcarvers from the Vocational School for Woodcarving BGL hacked, sawed and tapped, each with a heavy device, one larger-than-life animal sculpture from a massive oak trunk. 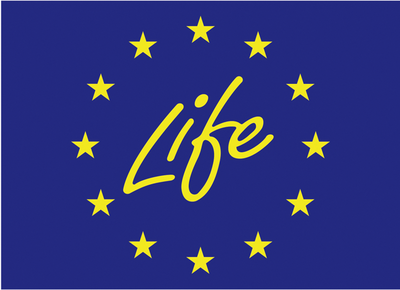 The sculptures were completed in front of visitors to the LIFEGENMON Forest Festival on 8 October at the nature trail “Forest in Transition” where the sculptures will be installed in March 2018. 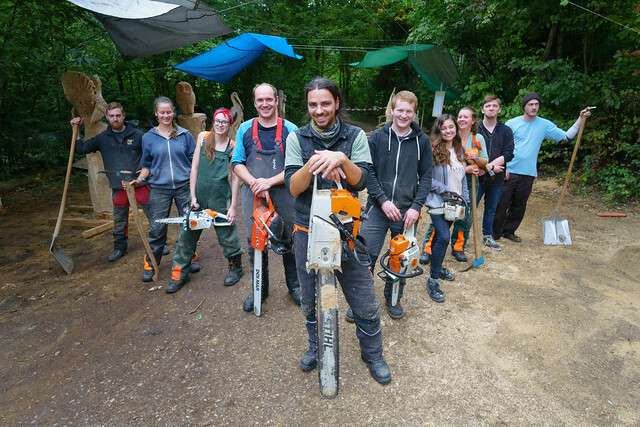 Thomas Klein, district manager at Berchtesgaden Forestry, delivered mighty oak trunks with a core diameter of up to 70 centimeters directly to the campground at Lake Abtsdorf close to Laufen where the students spent almost one week. “We didn’t have to fell a single tree for this event, the enormous storms in the summer threw exceptionally thick oaks.” the forester explained to the students. “In the course of climate change, we shall expect more such extreme incidents. In this sense, even the wood we use thematically fits in with our event, with which we want to draw attention to climate change.” Mark Walter from the LIFEGENMON project at the ASP added. In all kinds of weather, the students aged from 18 to 28 went to work during the day, spending the evenings around the campfire or in their tents in a social gathering. The physical work with chainsaw, ax and carving iron is exhausting but keeps warm at least. But not only physical work is needed when carving. It also depends on a good spatial imagination. 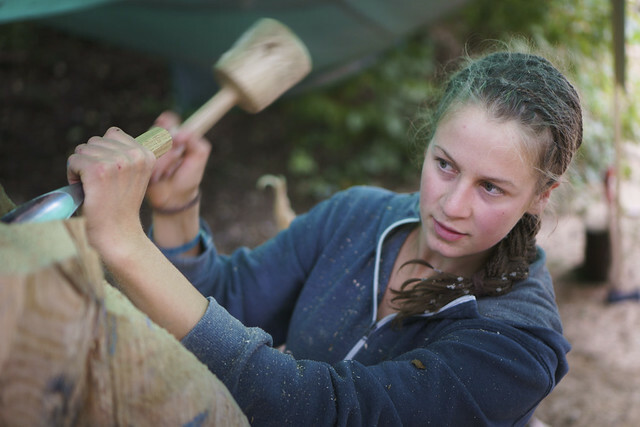 As part of a three-year apprenticeship, the students practice, among other things, the daily sculpture work in the traditional school in Berchtesgaden. In July 2018 they will complete there as wood sculptors.